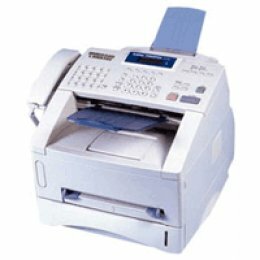 The C5550n MFP from OKI Printing Solutions is a truly integrated color-and-mono device that can print, copy, scan and fax. It will satisfy the high-volume demands of a busy office environment, bringing greater productivity and cost-savings to your business. Its perfect for small to medium workgroups, delivering color or black & white documents quickly and efficiently, along with 4-in-1 multifunctionality and real value for your investment. 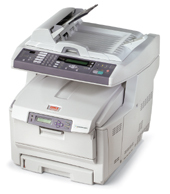 The C5550n MFP is designed to increase your pace and improve your image. More functionality means more for business " With the C5550n MFPs superior paper handling and software, businesses can quickly produce professional results in-house. Big tasks are handled with ease. Exceptional print and copy performance will enhance productivity without compromising print quality. Analogue fax and a wide range of easy-to-use scan-to features will streamline processes without the need for a steep learning curve. All at a highly competitive price. High-quality documents for a better impression " Even with print speeds of up to 20 ppm in color and 32 ppm in black & white1, there is no compromise on print quality. High Definition Color technology and 1200 x 600 dpi resolution improve detail, color depth and finish, delivering stunning output on ordinary office paper for truly professional-looking business documents. Auto Color Balance provides consistent results throughout the life of the printer. Manage the network, manage the costs " Included within the C5550n MFP are three useful, powerful pieces of software, all of which help to keep costs down and productivity up. Set-up Utility allows easy installation across a network; PrintSuperVision enables administrators to remotely monitor all printers; and Job Accounting software makes it simple to manage color usage and costs. Simple to install"even easier to operate" With its compact, ergonomic design the C5550n MFP fits into the smallest office space. Its network-ready and simple to set up, and the user-friendly operator panel speeds every function. Built-in dependability keeps your work flowing" As with all OKI Printing Solutions products, the C5550n MFP is built to perform, day in, day out. Its straight paper path, high duty cycle, and high-capacity consumables help ensure that the device keeps running, minimizing the need for user intervention while maintaining workflow.